Disclaimer: I have a background in Microelectronics Engineering which basically means I love robots. 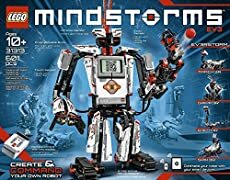 Combine that with my career in IT and love of LEGO and you end up with a 100% biased review of this Mindstorms robotics LEGO set :) Plus it's kind of long! This set is too epic to review in a single article so I'll add more posts over the coming weeks as I get time to cover the rest of the content. 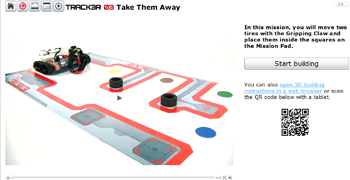 This review will provide an overview of what this set is all about and the first introductory robot - The Track3r. This set is now available for purchase at eBay, LEGO or Amazon. Alternatively, for your country specific links please see the links on the EV3 set details page. For those who have no experience with the Mindstorms theme or programming of any sort, this section will cover what it's all about. The key part of this set is the programmable brick. This brick is in fact a computer, complete with processor, memory, inputs and outputs. Just like any computer, it can be programmed to respond to its various inputs in any manner the programmer wishes. Up to four input sources (e.g. 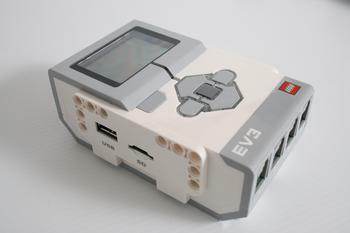 proximity sensor, touch sensor, etc) can be plugged into the EV3 brick on its top side. Up to four output targets (e.g. motors) can be plugged into the EV3 brick on its bottom side. There are also connectors to connect to your PC/Mac, or expand its memory capabilities via an external flash card. There has been a community of AFOLs who have been working with LEGO over the last couple of years to help perfect this set. And perfect it they have :) The set comes with instructions/programs for five robots. LEGO have also chosen 12 sets from the community group to include in the software - complete with building instructions and sample programs to use them. These are optionally downloadable components which can be done from within the Mindstorms program. The infrared receiver/transmitter pair can be used in a variety of ways. From a simple proximity detector, to a remote control, and the receiver can even detect the direction the transmitter is coming from. This makes it a nice beacon for following/finding objects. The programmable brick can also play sounds, display/flash its lights, and show images or text on its 178 x 128 pixel LCD display. 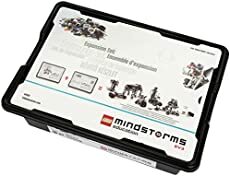 The Mindstorms software includes the building instructions for every robot, as well as detailed guides on how to write the programs for the robots. There are also plenty of context-sensitive help guides that open in your browser. 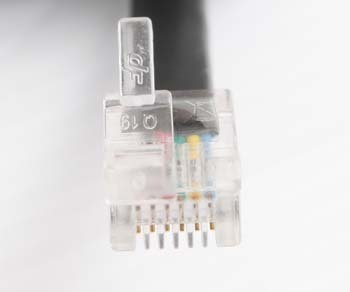 The cables used have connectors which at first look like standard RJ12 telephone connectors, but have the top clip that holds it in place off to the left instead of centered. I can only imagine they did this to keep everything proprietary and make it harder to build your own cables/devices :( However, it is compatible with previous generations of Mindstorms sets. Update: Wolfolo pointed out to me that these are Modified Modular Jacks and not proprietary. Track3r - A tracked crawler robot that has several swappable tools that it can use to slice/shoot/smash obstacles. This is the simplest robot and a great one to start out with. Spik3r - A scorpian like robot, with features such as scurrying legs (even though its mobility is wheel-based), a moveable tail that can shoot balls, and a front gripper appendage simulating claws. R3ptar - A slithering serpent that can rattle, shake and strike at a close target. Quite an evil looking and cool robot. Gripp3r - Another tracked crawler that has a big gripper at its front designed to lift and transport objects. Ev3rstorm - The main bipedal robot (but actually moves on tracked feet). It incorporate all sensors and motors and is the most complex robot of the five. Other than the chicken hairstyle, this is one cool robot! Ev3game - by Ricardo Oliveira. This is basically a Shell Game in which the robot randomly moves cups around and you have to guess which one is hiding the ball. It includes three missions. Banner Print3r - by Ralph Hempel and Phillippe "Philo" Hurbain. A 2d plotter robot that can write anything. 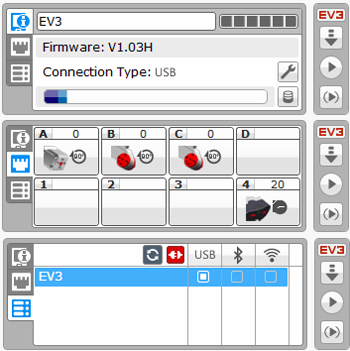 The sample program spells "LEGO EV3"! Bobb3e - by Kenneth R. Madsen. A tracked forklift robot, complete with beep beep beep reverse sounds. Dinor3x - by Lasse S. Lauesen. A triceratops that walks on its four legs and avoids obstacles. El3ctric Guitar - by Daniele Benedettelli. It's a freaking guitar, what else is there to know? Ev304 - by Vassilis Chryssanthakopoulos. A companion robot that can be controlled remotely, or follow you around. Ev3meg - by Martyn Boogaarts. A clever line following robot with some pseudo fuzzy logic driving its calculations. Mr-B3am - by Kenneth R. Madsen. This robot will take a technic beam and measure its length and color. Kraz3 - by Marc-Andre Bazergui. A little companion robot that wiggles his head when he finds color spots on the mission pad. Rac3 Truck - by Laurens Valk. An automated race truck that drives around avoiding obstacles. Robodoz3r - by Mark Crosbie and Phillippe "Philo" Hurbain. An autonomous bulldozer that can lift its shovel. Wack3m - by Martyn Boogaarts. A Whack-a-mole game to test your reaction speed. Personally, the Dinor3x interests me the most because... well its a dinosaur and dinosaurs are cool. I will cover these robots more in later reviews! The CD I received with my set was pre-release so was not included in the box. I presume the normal sets will include a CD inside the box with the latest software. In any case, mine was v1.0.0. 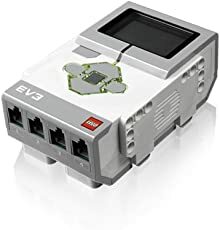 However, shortly after installing it there was a new release v1.0.1 which it automatically discovered and I downloaded from the LEGO mindstorms website which has just been updated to include the EV3 content. I also needed to update the brick's firmware from v1.01H to v1.03H which was a quick and painless operation. The latest firmware was downloaded from the website and then copied to the brick over the supplied USB cable. After a few minutes it was all done and ready for use. 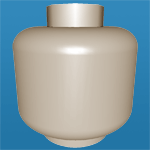 The building instructions can be viewed directly from the Mindstorms software, or via an external URL. The URL is helpful for viewing from another device that does not have the software installed, such as a tablet. It even includes a handy QR code that you can scan with your tablet to open the URL without having to type it in manually. To test this, I used my iPad to scan the QR code. 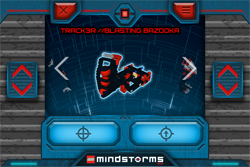 This took me to a website that then redirected me to the app store for the free LEGO Mindstorms 3D Builder app. Note that this app says it requires 173MB to install, but after installing I found it used 378MB. Bigger than your average app! This app includes the building instructions for the five main robots, and uses the same Autodesk software that is used on the website for the PC. It allows you to step through the instructions, and change any aspect of the 3D viewing. The app seems to work a lot faster than the website, and is easier to use when building away from your PC anyway. The PC software isn't perfect. There were a few things I thought could be made clearer and it was quite slow sometimes. My Windows 7 based PC is no slouch, yet it lagged quite often on some of the screen transitions and even just trying to drag blocks around. However, I'm sure things will improve over time as it gets more usage and is tweaked by LEGO. Even at v1.0 it shows a lot of effort has been put into making it a highly intuitive and fun experience. The Mindstorms software provides a drag-and-drop GUI style of programming. I have been programming for 26 years now so have an intuitive understanding of how things work, but I believe that it is easy enough for anyone to pick up. I can say this because my six year old son wrote all but one of the programs for the Track3r robot! The options shown in the remaining panels will change based on the mode selected. All of these options make the servo motors very flexible in what you can do with them. There are a wide variety of blocks to choose from as shown below and are grouped into six categories: Action (green), Flow Control (orange), Sensor (yellow), Data Operations (red), Advanced (blue), and My Blocks (girly blue). The My Blocks group contains custom blocks you can create yourself. They may contain entire programs within them. If you have a large number of blocks performing a function that you find yourself needing multiple times, this is a nice way to simplify things. The fifth mission of the Track3r robot provides you with one called Time Trial that acts as a stopwatch, tracks your score and even keeps a high score in a file on the brick. 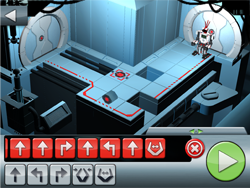 You are introduced to new blocks slowly, as you progress through the missions for each robot. In fact of the five LEGO supplied robots, only the R3ptar has a block that is not green or orange (ignoring pre-build custom blocks for some of the missions). Once you take a look at the community built models though, things get complicated fast. I work mostly on a PC that has no bluetooth connectivity, which means I'm stuck with the USB cable. 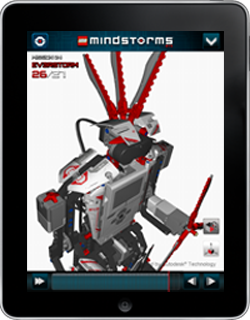 Other than the LEGO MINDSTORMS 3D Builder app, there are a couple others worthy of looking into. The first is the LEGO MINDSTORMS Robot Commander. This allows you to control your robots from your phone. It comes pre-configured with the five standard robots, plus you can also create your own custom commands from within the app for other robots. You must first enable Bluetooth on the robot and pair it with your tablet/phone device. I didn't really find the Track3r one very useful, but can see the potential in it for other robots. The first robot you should build is the Track3r. It is the only one with printed building instructions, and also has a demo program pre-installed on the programmable brick. It also comes with an activity mat that is actually the underside of the outside box. Four of the five missions for this robot uses the mat to demonstrate its capabilities. Plus, of course, you can use it for whatever other programs/robots you dream up. The actual build of the robot is straightforward and will only take 10-15 mins. It mainly introduces you to some of the ways of mounting the motors and sensors, which I gather is much nicer than previous Mindstorms sets. The instructions include showing you how to run programs stored on the brick, and even how to create a program directly on the brick itself. 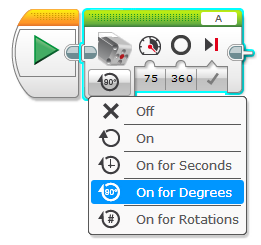 Although, that is really only useful for the most basic programs and the Mindstorms software is much easier to use. There are five missions included with this robot. Each mission requires you to build a weapon add-on that connects to the medium motor. Mission 1 - Blend It with Precision. This uses the "Bi-blade Blender" add-on, and consists of a very simple program to move the robot forward and knock a tyre off the activity mat. It's a great introduction to the software development environment. Mission 2 - Blast It Away. Using the "Blasting Bazooka" add-on, you need to manoeuvre the robot to shoot small red balls at two different objects in the distance. Definitely one of the more interesting weapons! Mission 3 - Take Them Away. This uses a "Gripping Claw" to pick up tyres from the mat and place them in marked locations. This is the first program that uses flow control with a simple loop. Mission 4 - Tactical Defense System. The "Heavy Hammer" is used by this robot to randomly strike at anything nearby, and when something gets close enough to its rear it will spin around and smack them. The program introduces the switch block for conditional actions. Mission 5 - Time Trial. This program is a game where you need to swipe away tyres and put the color sensor over the colored dots on the mat in a certain order. It is also timed, and you build up a score for doing it correctly. You get penalised by going over the red lines which are detected by the sensor. A few new concepts in the program for this one. Robots + LEGO = AWESOME!!! I love this set. My kids love this set. It's expensive at USD$350, but not only is this a great toy, it's a fantastic tool for teaching kids how computers really work. And I mean real computers, not the ones with angry birds inside them. See more photos of the set. That video game is not available on the Lego website anymore. Could I get permission Nathan to copy this review for participants at an upcoming workshop? from the whole parts. A vital function of every building instruction! points in a building guide would do the trick and make building changes possible on the fly, which you could save and use to share your own inventions. One last point for now: I really like the programming enviroment and its capabilities, but let us be frank, the possibilities of each programming block (i.e. entering a value (like for instance 0.005) now and most of the time get 5 instead! you almost get the same capabilities, much better instructions for that age group and save more than $150 on top. Nah it's inefficent to use notepad++ and vim. it's only practical in small tiny code sources. after that you want Eclipse or Visual Studio or similiar program. Having to edit make files or long compiling list isn't fun. boring tasks should be automated. Must admit I never liked visual programming but that is because of it's limitations. I guess the bricks will limit you more then the programming style. A very detailed an sympathetic review indeed! Fist the documentation: agreed we want to save our forests, but if I compare the instruction manual of the earlier Minstorms RIS or NXT with that of EV3, I am very disappointed with Lego since they seem to follow all other computer manufacurers(and those of almost all other appliances), which is to save on production costs by unloading the troubles of getting simple instructions for their very complicated products onto the customer. The new user guide is really nothing but the building instructions to the entry level robot, two very basic demos on the brick and a fullpage reference to the mindstorms web site. This is all there is, no introduction, no overview of the brick (buttons, screen functions or preloaded programs) and how to connect the sensor/motors and the computer or what the sensors actually do not to speak of the programing enviroment or Bluetooth (or a CD with everything you need to get started on it): This is perhaps permissable for adults, who have had experience with earlier kits but not if you want a large acceptance with 10 to 14 year old kids, who have not. Second point: the screen of the brick is still as awfull as that of the NXT! After 10 years of better and better smartphones, a 178x128 pixel screen resolution in b/w without backlighting that is not decipherable in anything but the most favourable light conditions is simply not acceptable at this price. Also, since we are at the point of capabilities and price: why is the Wi-Fi capability, advertized on the Lego site, not inside the brick, but an optional add on, blocking the second USB port and why is it not possible to charge rechargable batteries in the brick via the USB connection while you are programming the brick like you charge any mobile connected to your PC? I agree that the printed instructions could have included more about the basic brick functionality, but I'm sure that would be hard to achieve without any writing (necessary to avoid language specific manuals). This sound unnecissary limited to me: Color (7 colors + no color) We all know how many colors LEGO is using right. I have allways considering buying one of these sets but never gotten around to it. Can you link several of these smart blocks, or is the input/output limited to sensors? ie can you have a master block who send commands through one output into another slave block input port to extend it's capabilities. Really great review, very useful! Thanks for doing it with such short notice.